EXPERIENCE LIMITLESS GAMING ON JUNE 9: ZENFONE MAX PRO IS READY TO GRIND AT FRAGFEST 2018! PASIG CITY, Philippines (June 7, 2018) – That’s right! 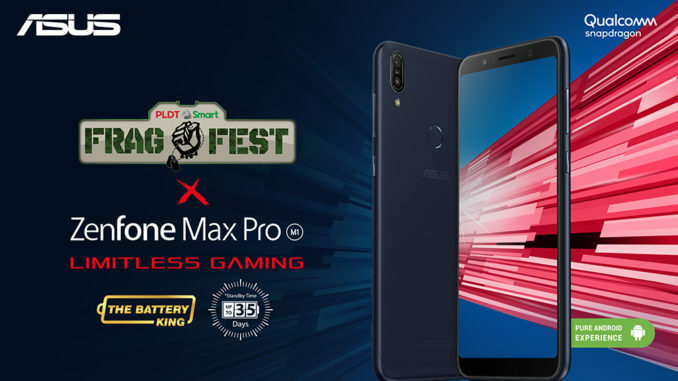 Just 2 days after its official launch as announced by the exclusive partnership between Lazada and ASUS Philippines, Filipinos will finally get to experience the much talked about ZenFone Max Pro as it takes center stage in FRAGFEST 2018! From June 9-10, at the SM Cyberzone Annex, SM North Edsa, ZenFans and gamers are invited to experience the ZenFone Max Pro in all its gaming glory. 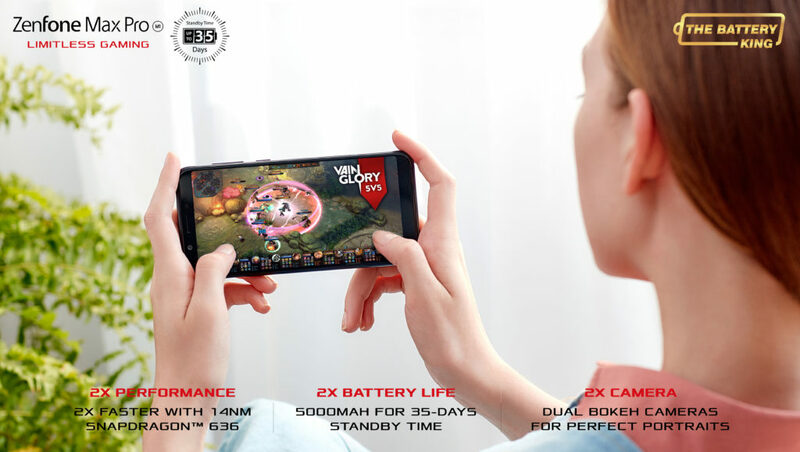 With awesome shooting games to play like Playerunknown’s Battleground (PUBG), everyone will have the opportunity to discover what a powerful combination of a Qualcomm Snapdragon 636 and a 5,000 mAh battery can do for the ultimate gaming experience – leading to the best of limitless gaming. The ZenFone Max Pro has a large 5.99-inch, 18:9 format widescreen that is ideal for games. It gives a wider view of the scene and control buttons can be placed out of the way. Snugly fitting into this body is also a ZenFone Max combo like no other: a Snapdragon 636 Mobile Platform, which combines smooth and responsive performance with the superb battery life of 5,000 mAh, a 3GB RAM and 32GB ROM, and a powerful Adreno 509 GPU. This solid combination makes the ZenFone Max Pro strong enough to handle all kinds of games as well as powerful to be used as a daily driver. It also now comes with a pure Android™ 8.1 Oreo™, the latest version Android interface, created for improve productivity, and simply lets users have more fun with their phone. 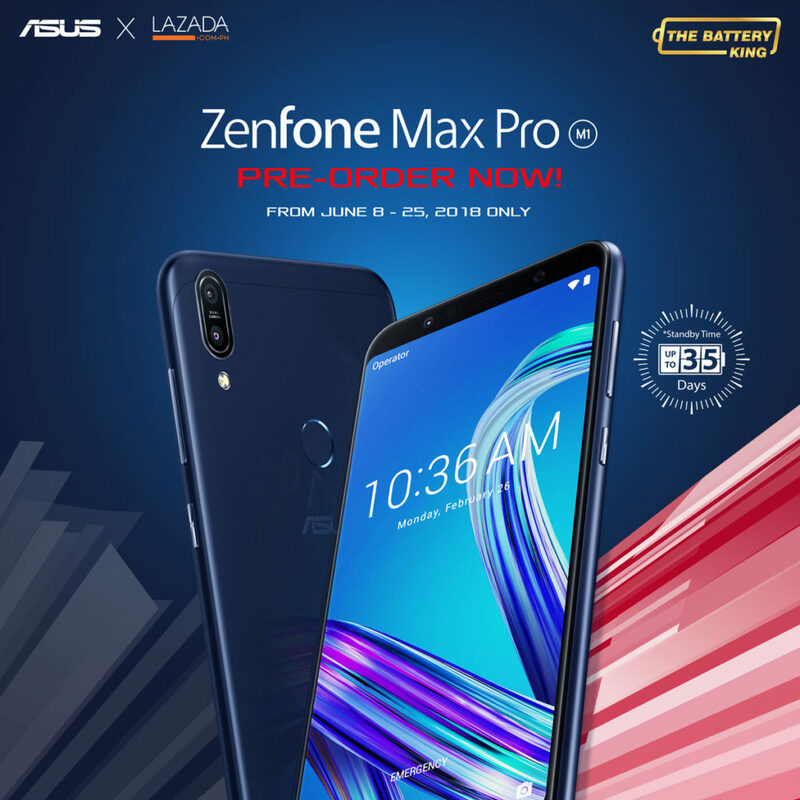 The ZenFone Max Pro will be made exclusively available in Lazada Philippines starting June 25 for the price of PHP 9,995.00, with pre-orders starting on June 8 – click here to avail, and get the chance to fly to Europe!